With Cristiano Ronaldo's visit to Conor McGregor's training camp in Las Vegas inexplicably (yet unsurprisingly) causing the internet to briefly implode, a number of questions remain. Is Ronnie really a southpaw, for example? How's his chin? And why does he look like he's been varnished? Instead of answering literally any of these questions, we instead decided to delve into the world of the football-martial arts crossover and bring you six players with surprising backgrounds in the art of combat sport. The Manchester United and England centre-back is more athletic than your typical defender, and much of that is likely owed to his dedication to the sport of judo as a teenager before football took precedence at age 15. The 26-year-old Smalling was a national champion in his age group, and last year journeyed back to his old club where he received a hero's welcome before demonstrating some of his old moves. Incidentally, Smalling was set to park both of his sporting hobbies and study business management at Loughborough University had football not worked out, having earned a decent set of A-levels. He's now one of the best defenders in the Premier League and £80,000 per week so, you know, business is good. Bolo is a black belt in karate and he used to do a few moves on me. I used to say ‘Show me something’, and he’d put me in a hold. One day I couldn’t get out of it — he nearly killed me! Ask him about it if you get the chance. 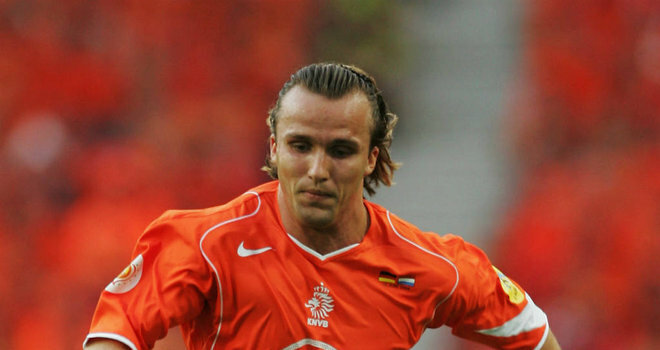 Zenden is in fact a practitioner of judo as opposed to karate, but you get the picture. The son of former judoka Pierre Zenden, Bolo maintained a keen interest in the art. He earned his black belt by the time he was 14 and is a three-time judo champion in his home province of Limburg. 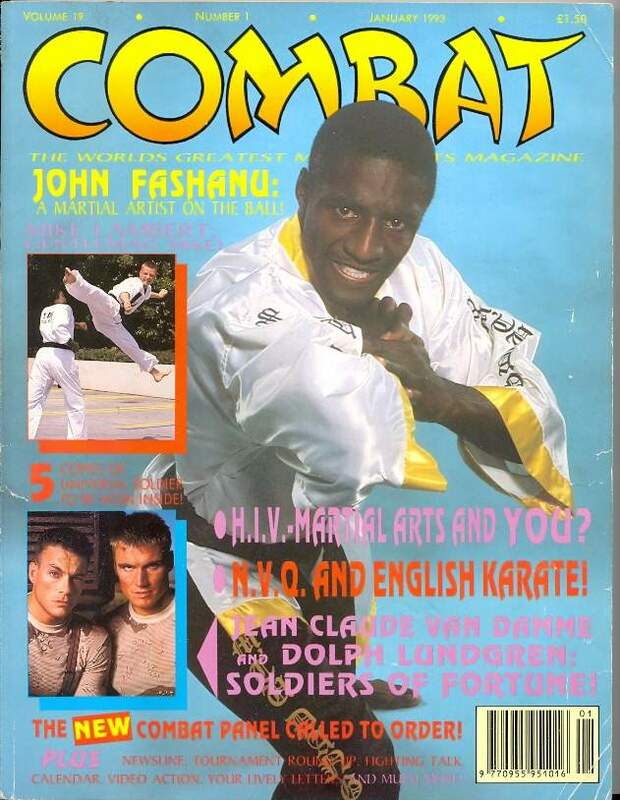 You probably needed to be a black belt in karate to survive at Wimbledon in the late '80s, and John Fashanu was. I don’t like Sanch and he doesn’t like me. Hate is a strong word, but we tend to disagree. Anyway, Sanch and I had a disagreement in training. I told the boys, “I’m taking training this morning – everybody start jogging.” Sanch saw it in his wisdom not to comply and when I pointed my finger at him he went to slap me. Mistake, Sanch. So I said, “Listen, this has been going on too long. We’re two men, let’s sort it out, let’s take a walk. Lads, you carry on jogging.” So we walked, and for Sanch this was the walk of death because we were walking round the back of the bushes and I was gonna pummel him. I was thinking, what style should I use on him? Sanch was thinking, am I gonna get battered? Or maybe he was thinking, I’m gonna batter Fash. It was like something out of a film: two people who don’t like each other, and now they’re going to fight. Anyway, Sanch gave me a shot and, give him credit, it wasn’t a bad shot. But I thought, don’t hit Sanch, don’t mark his face, and my mind went back to when Muhammed Ali fought against the martial artist in New York, and the martial artist just kicked the back of his legs until it broke the tissues in his calves and he submitted. So I thought I’d teach Sanch a lesson and gave a sweep of the legs, but Sanch has calves like most people have thighs and he didn’t move. So I gave him another couple, but Sanch came back at me. So I thought, I’m gonna take this guy out, and I hit him with one of the best shots I’d been training with – BAM! Take that, Sanch! – right in the solar plexus, a shot that would supposedly knock a horse down. And still he stood there. Then Terry Burton came over to break us up. Fash threw him around like a rag doll, I’ve never seen anything like it, never seen nothing like it. We had wooden benches that went around, Fash literally lifted him up, swung him around and smashed him down on the floor and his calf just obliterated. The fella had to have 20 stitches or 30 stitches in his calf, split it to bits. Fash could be hilarious, a very funny man. But when he was angry, he was a very tough man. He didn’t hold off. Is it any wonder former Tottenham midfielder Sandro Raniere spends the vast majority of his time crocked? 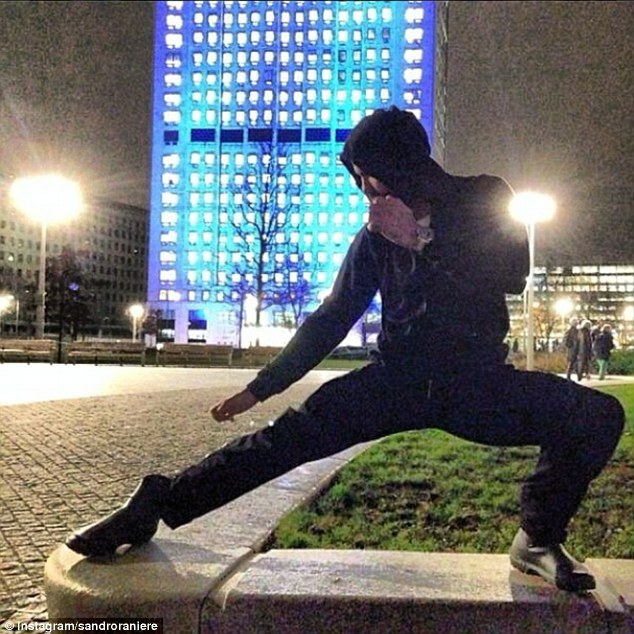 The 'Mac from It's Always Sunny' of Brazilian footballers, Sandro flooded his Instagram with pictures of himself in ninja poses on his return from injury in 2014. He's probably not a black belt in anything, but you wouldn't know that if you heard him down the pub on a Wednesday night. And realistically, who's going to tell the bloody lunatic? During his World Cup-winning playing career, the man with one of the most fun names in football enjoyed extra-curricular activities such as surfing, skeletoning and ice racing. One of 39 players in the history of football to have ever won at least one domestic championship, a continental title with his club, a continental win with his country and the World Cup, Lizarazu started training in Brazilian jiu jitsu in 2008 under Yannick Beven - a BJJ black belt who also happens to be the conditioning trainer for the french pro-surfer Jeremy Flores. He quickly honed his new-found skills and in 2009, after just 18 months training, the former Bayern left-back became the blue belt European Champion in the senior lightweight division in Lisbon, aged 39. The following year he would place third in the purple belt division. It's a beautiful experience. It's one against one. You haven't got your friends behind your back to support you like in soccer. It's close to a fight for survival. It boosted my self confidence. Sometimes I think it would be great to bring this experience to soccer, but not as a trainer. A manager maybe? Ibrahimovic famously earned a black-belt in Taekwon-Do as a 17 year-old in his hometown of Malmö, going on to earn honorary membership of the Italian Taekwon-Do team during his stint at AC Milan. A lot is made of Ibra's ability to use his martial arts skills on the pitch - with his technically sublime volleys and ball control essentially defining his career - but the Manchester United striker also has a penchant for kicking his teammates. He once booted his mate Antonio Cassano square in the head. He and Chris Smalling are going to have a blast training together.